Isn’t this the cutest thing you’ve ever seen on a cutting mat? 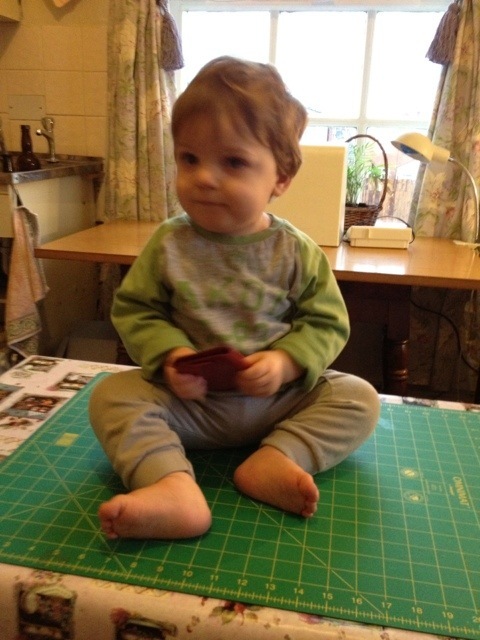 Our grandson ready to “help” with the quilt – tossing fabric to the floor seems to keep him endlessly amused – strange I know, but super cute! « What goes around comes (back) around!